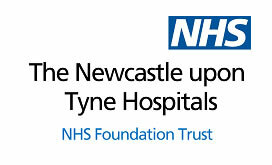 Our highly skilled and experienced Audiologists provide a comprehensive Audiology and Hearing Aid Service for the Newcastle, North Tyneside and Northumberland region. Our aim is to provide a high quality, patient focused, comprehensive service for Audiological and Vestibular impairments. Using the most up to date equipment our specialist teams provide a wide range of assessments, rehabilitation and habilitation in Adults and Children with various Audiological and Balance disorders. We provide assessments to establish the extent, site and cause of hearing and balance impairments alongside experienced staff providing rehabilitation, practical support and on-going assistance to individuals with hearing loss, balance difficulties or associated problems such as tinnitus and hyperacusis. Action on Hearing Loss is the largest UK charity helping people confronting deafness, tinnitus and hearing loss to live the life they choose. Action on Hearing Loss enables them to take control of their lives and remove the barriers in their way, giving people support and care, developing technology and treatments, and campaigning for equality. to cure hearing loss and tinnitus. Advanced Bionics – A Sonova Brand – is a global leader in developing the most advanced cochlear implant systems in the world. Founded in 1993 and a subsidiary of the Sonova Group since 2009, AB develops cutting-edge cochlear implant technology that allows recipients to hear their best. Auditdata is a worldwide provider of office management systems for hearing care clinics, as well as cutting-edge fitting systems that include everything you need in audiometry, real ear measurements, speech mapping, client counselling and hearing instrument testing. The wide range of audiometers and fitting systems is covered by Primus, Entomed and OTOPod and Amplitude instruments. Strato is a cloudbased clinic management system for private hearing care practices. AuditBase is a comprehensive clinic management system designed for hospitals and public hearing clinic. 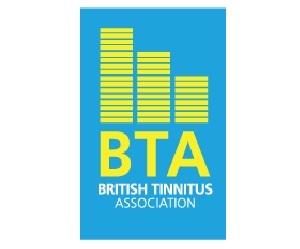 The British Tinnitus Association (BTA) is a world leader, with a trained team of friendly and experienced advisers for anyone who experiences tinnitus or those simply seeking guidance or information about the condition. We provide accurate, reliable and authoritative information, much of it written by medical professionals or clinical researchers. We strive to be the primary source of support and information for people with tinnitus and their carers in the UK and to advocate on their behalf. We aim to encourage prevention through our educational programme and to seek effective management of tinnitus through a medical research programme. DELTA, Deaf Education through Listening and Talking, is a voluntary association of young deaf adults, the families and teachers of deaf children. DELTA is a national charity which supports and develops the Natural Aural Approach to the education of deaf children. Both the Approach and the Association trace their origins back to a group of teachers of the deaf working together from 1980 to improve the outcomes for deaf children. The Association exists for the Approach and the Approach exists because of the work of the members of the Association. We aim to make a positive difference in the lives of deaf children and their families through sharing information, influencing training, providing support and campaigning for change. ENT UK is the professional membership body that represents Ear, Nose and Throat and its related specialities. ENT UK represents over 1,300 medical practitioners including surgeons, trainees and audiologists. To represent the specialty at the Royal Colleges of Surgeons and to government bodies. Guymark UK are exclusive distributors in the United Kingdom and Republic of Ireland for GSI, Maico, MedRx, Micromedical Technologies, Otopront, and Vivosonic. Also available Path Medical, Guymark free field systems, Guymark VRA, Entomed and a complete range of consumables and accessories. Guymark provides a complete audiological calibration and repair service. The Irish Society of Hearing Aid Audiologists is a society which represents clinical and hearing aid audiologists working in the private hearing aid sector in the Republic of Ireland. It is committed to promoting high professional and ethical standards in the profession and encourages the professional development of its members. IAC Acoustics are world leaders in the field of industrial acoustics. Since defining the industry in 1949, we continue to pioneer acoustic expertise, innovation and thought leadership in industries as diverse as energy, aviation, aerospace, commercial construction, industrial engineering, healthcare, administration and media. 60 years of collaborative, pioneering history means we now have offices and manufacturing facilities all over the world, delivering sound control expertise to a global customer base. In an era of excessive noise, we are, as we always have been, committed to making the world a quieter place. Interacoustics is the world’s leading provider of solutions for measurement and diagnosis within hearing and balance. With more than 45 years’ experience, Interacoustics prides itself on listening to and supporting its customers to deliver the very best diagnostic solutions for their patients. This is accomplished by maintaining a continuous dialogue with healthcare professionals working in all sectors of audiology, neurology and physiotherapy. We always go the extra mile for our customers to provide the highest level of expert support throughout the life of our products. The Medical Research Council (MRC) improves the health of people in the UK – and around the world – by supporting excellent science, and training the very best scientists. We are a non-departmental public body funded through the government’s science and research budget. At Oticon, People First is our commitment to empower people with hearing loss. Empowering people with hearing loss is a goal we share with you. We are also committed to supporting the hearing care professional with innovations in all aspects of practice. Our focus is not just on audiology and technology, but on counselling and fitting and business support. Oticon Medical is a global company in implantable hearing solutions, dedicated to bringing the magical world of sound to people at every stage of life. As a member of one of the world’s largest groups of hearing health care companies, we share a close link with Oticon and direct access to the latest advancements in hearing research and technologies. Our competencies span more than a century of innovations in sound processing and decades of pioneering experience in hearing implant technology. Otodynamics, the leading voice in OAE technology for over 28 years, has recently enhanced its ILOv6 clinical OAE software for PC based Echoports as well as adding ABR screening to their comprehensive Otoport range of handheld advanced diagnostic and screening instruments. Driven by its in-house innovative research and development team, Otodynamics is dedicated to delivering quality, reliability and performance. Standing out as the gold standard, Otodynamics is consistently selected as the first choice in AudiologyOtodynamics Ltd. pioneered OAE screening 25 years ago and sells a wide range of OAE screening and diagnostic instruments. In a world where global organisations absorb specialist companies without trace, it’s good to know that Otodynamics remains a successful, privately owned and managed British company, founded by the discoverer of otoacoustic emissions – David Kemp. It’s also good to know that Otodynamics makes in-house research and development its top priority. Otodynamics′ latest products are totally designed by its own team of engineers and scientists, led by the originators and pioneers of OAE technology with up to 30 years’ experience in the field. When you buy instruments from Otodynamics, you can be confident of a first class innovative product and first class support. PC Werth Intricon supplies calibrate and service the UK’s leading range of instruments for every diagnostic and audiology need. Phonak is a leading provider of innovative hearing solutions. Our aim is to offer a life without limits; helping hearing aid wearers communicate with confidence. We work with Audiologists and technology experts around the world to ensure our products constantly evolve for the better with the very latest in technology. At our headquarters in Switzerland, we achieve one of the highest international innovation rates in the industry. The Phonak team in the UK and worldwide is committed to upholding the highest standards, which is why we put the same level of commitment into every new product and project we undertake. As well as technological advances, keeping up to date with the market, changes in products, enhanced features, and fitting protocols, we can now bring to you official education training programs under our Academy umbrella. Founded in 1976 and celebrating their 40th Anniversary Puretone are the UK’s only remaining independent hearing aid manufacturer, having a wide range of digital hearing systems to suit any requirements and budget. Apart from hearing systems, Puretone are also the UK’s largest supplier of Audiological accessories, with a range that includes over 1000 products. New for 2016 are the Asiga 3D Earmould printers, Detax 3D printing material and the Puma soundproof booths. With over 100 years collective experience within the design, manufacture, delivery and installation of noise control products and services, QuietStar Limited is fast becoming the UK’s leading noise control provider. The QuietStar team know exactly what good customer service means and make it their business to fully understand their clients’ requirements as well as delivering the right solution at the right price. Audiology booths, rooms and suites. Silent ventilation & air conditioning systems. Our objective is to continue to develop ground-breaking software and systems that save time, improve accuracy and eliminate inefficiencies. We pride ourselves on working collaboratively with our clients to provide an outstanding level of service. We are unique in what we do and how we do it. Sivantos Limited formerly Siemens Hearing Instruments Ltd (Crawley, West Sussex) provides a comprehensive range of digital hearing instruments and software, patient management systems and audiology equipment to the National Health Service, independent retail dispensers and national chains in the UK. It is the UK operation of Sivantos Group, which is one of the world’s leading manufacturers of hearing instruments, With 5,000 employees. Sivantos’ international sales organization supplies products to hearing aid specialists and sales organizations in more than 120 countries. Particular emphasis is placed on product development. The owners of Sivantos are the anchor investors EQT along with the Strüngmann family as a co-investor. Specsavers is a partnership of almost 2,000 locally-run businesses throughout the UK, Ireland, the Netherlands, Sweden, Norway, Finland, Denmark, Spain, Australia and New Zealand, all committed to delivering high quality, affordable optical and hearing care in the communities they serve. Each store is part-owned and managed by its own joint venture partners who are supported by key specialists in support offices that provide a range of services including marketing, accounting, recruitment, IT and wholesaling, among others. Some 28 million customers used Specsavers in 2015 and the partnership had a turnover of £2 billion. More than one in three people who wear glasses in the UK buy them from Specsavers. Of its 17.3m UK customers , 60% are from the NHS and the company is the largest provider of free NHS digital hearing aids. The Ear Foundation – bridging the gap between clinic-based services, where today’s exciting hearing technologies, such as cochlear implants & bone conducting hearing implants are fitted, and home, school and work where they are used in daily life. The Tinnitus Clinic is the UK’s largest independent private provider of treatment for adults living with tinnitus and hyperacusis. Established in 2011, The Tinnitus Clinic provides multidisciplinary treatment from locations across the UK. The expert audiologists are able to select the best device for each patient from the full range of suppliers of combination devices and Neuromodulation treatments. Working alongside ENT consultants and utilising a unique psychodynamic counselling approach for tinnitus means patients get the best combined treatment for their unique profile and experience. 93% of our patients express themselves to be extremely or very satisfied with their treatment at The Tinnitus Clinic. Widex is one of the world’s largest manufacturers of hearing aids, employing more than 4,000 people worldwide. Widex is a family owned company, originally founded in Denmark in 1956. Widex is behind technological advances, such as the world’s first digital in-the-ear hearing aid, and new, revolutionary wireless technologies, and has a reputation as one of the most innovative manufacturers in the industry.